The benefits of gardening have long been known, from de-stressing to strengthening the immune system, so many consider it as the number one hobby. Just because you live in a city doesn’t mean you can’t have your share of gardening, after all that’s what the urban gardening trend is for. It’s a trend that keeps on growing due to the way it makes life easier in the concrete jungles, and it’s just what the doctor ordered when it comes to being a healthy, happy individual. One of the main reasons it made it to such popularity has to do with the use of space; even if you don’t have much space for a garden in your home, you can still make the most of it with urban garden planter boxes. Why do we love them? They are compact, can fit in the smallest of homes, whether it’s the kitchen, or the balcony, and the unique modular design allows you to connect multiple units together through connector hoses and count on easy breezy gardening thanks to the integrated self-watering system. Even people with the busiest lifestyles won’t have to worry about plant killing: with these planters, all you have to do is top up the water reservoir and plants take the water when they need it. 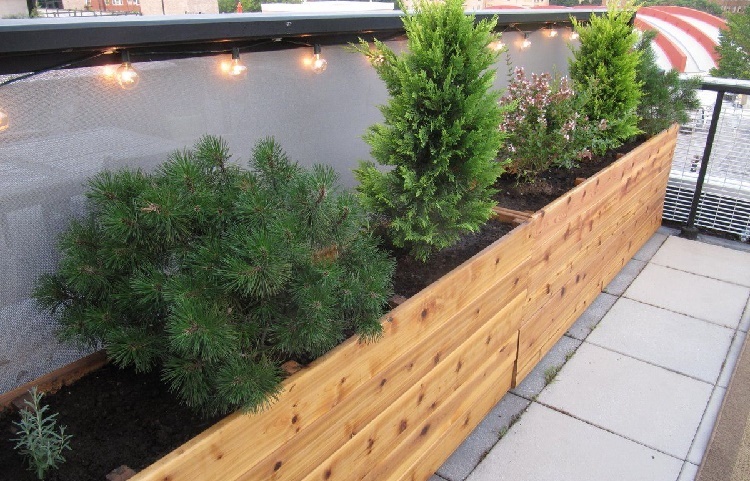 There are also urban garden planter boxes that can be attached on walls so you can create your own vertical garden and grow veggies, herbs, small fruits, berries, and flowers. You can be sure, with time, you’d be able to reduce grocery shopping and save up knowing you have your own fresh organic produce on the plate. Your health and wallet will thank you for the effort afterwards. If you don’t know where to start, it’s advisable to make a list of what you mostly eat. It’s also good to start planting a variety of plants, because even if you don’t get much from any, you still have plenty of options, and this way you can learn more about each plant, how much of light it needs, which location works best for it, and how you can use artificial lighting to your advantage. You don’t have to be a fan of green living to see how sustainable urban gardening is, particularly in the lack of necessity for much space and water, as opposed to traditional gardening. Unlike previously, you don’t have to wait for a specific season to enjoy certain foods, you can grow them year-round at home. It’s safe to say urban gardening is the future!